NOTE: Gerrymandering can change election results in races for state legislature seats and House of Representatives seats. It does not affect Senate races, as those are state-wide elections. The bloated census gives more federal tax money to states that shouldn’t receive it. 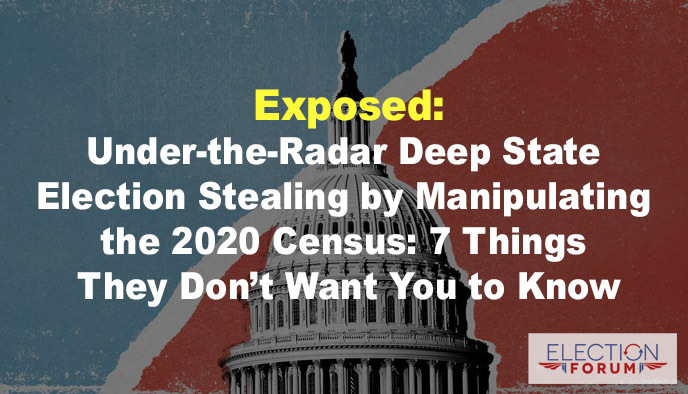 State bureaucrats are using tax payer money to build an army to inflate the census. For example, in California, estimates range between 4 – 10 million non-citizens won’t be counted in the census if “Are you a U.S. citizen?” is included. This would translate to a loss of $40 – $90 million of federal tax dollars to the state. And it means California – instead of gaining several new congressional seats – would probably lose 1 or 2, maybe even be 5 seats. Have the Democrats capture the 2020 legislature and governor races so they can control the redrawing of the districts. This will set the boundaries for political election races for 10 years. That’s why such energy, money, and organizations is going into it. Even now, commissions are beginning to be formed … and candidates selected and donations raised to support candidates. Maybe you’re called even to give $50 or $100.